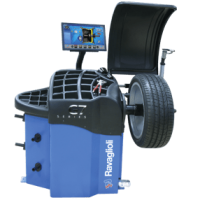 This high quality wheel balancing machine with a small footprint is capable of 143LB tire and rim weight. 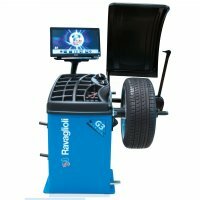 The G2.118RD is a big balancer in a smaller package for those workshops where space is a premium. This machine offers the same precision, same weight capacity, and same DC drive as our other models. Built in Northern Italy with the famous RAV quality. Includes 4 balancing cones and speed nut. Data entry is simple and fast utulizing the data entry arm especially for stick on weights. Available with or without a hood. A great choice when space or budget is limited. 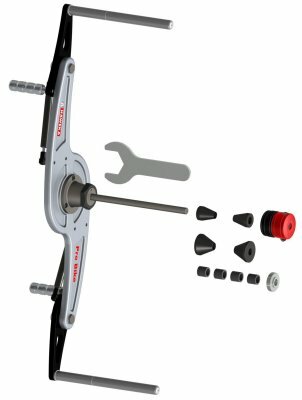 Advertised special price is for pick-up of balancer and is only offered when in stock.